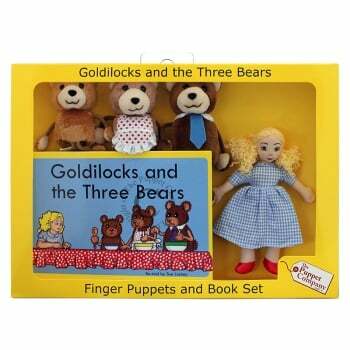 Set contains book and 4 finger puppet characters. Book 14cm x 20cm. Suitable for 12 months and above. Please remove all hooks, labels and packaging before giving this product to a child.